Students in Switzerland have pioneered a new two-wheel drive electric bike, which they also say gives an impressive 250-mile range. 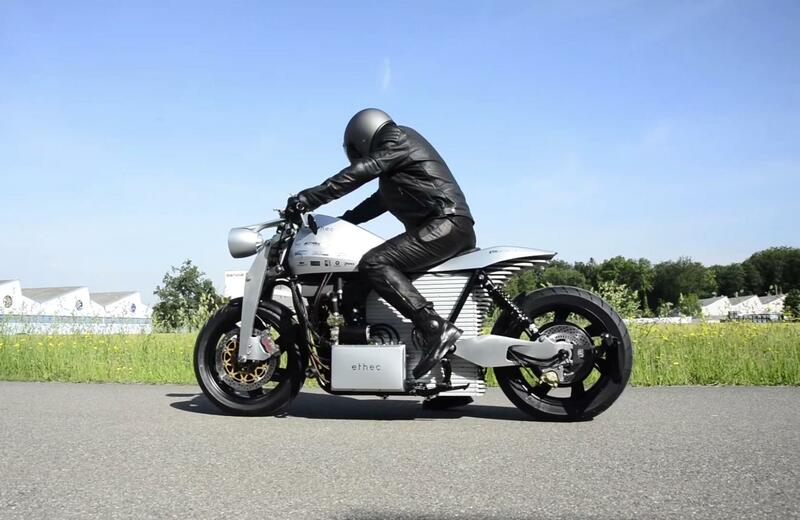 Dubbed the Ethec, the bike was put together by a group of 16 engineering and design students from the ETH Academy in Zurich and the Zurich College of Arts. They constructed the bike as part of their final year thesis and the result is a machine that shames many production machines. The Ethec features and aluminium chassis with a girder fork front end, offers a 250-mile range from its 15kw battery and has full regenerative capabilities. To help with this there is a motor in the front as well as the rear hub, which is used primarily for re-gen when the bike is slowing down or braking. It’s not really there to help put the machine’s 69bhp to the tarmac. Hub motors are an interesting development for electric bikes offering improved packaging and zero drivetrain power-loss. However, they do increase unsprung weight and rotational inertia while also requiring unique tooling for wheels and suspension systems.